SAN FRANCISCO (KGO) -- From a magical holiday celebration to an NBA Finals rematch, here's a look at what's going down on ABC7 on Christmas Day! * Note: Game 3 of the NBA triple-header can be seen on KOFY TV-20/Cable 713 starting at 5 p.m.
9 a.m. - Disney Parks Magical Christmas Celebration: Julianne Hough and Nick Lachey host the Christmas celebration featuring Disney characters and musical performances by Ciara, Darius Rucker, Jason Derulo, Fitz and the Tantrums, Fifth Harmony, Lea Michele, 98 Degrees, Telly Leung and Arielle Jacobs from Broadway's "Aladdin." 11:30 a.m. - NBA Countdown: Expert analysts preview the upcoming action in the NBA, evaluating the strengths and weaknesses of each team while breaking down the pivotal match-ups. 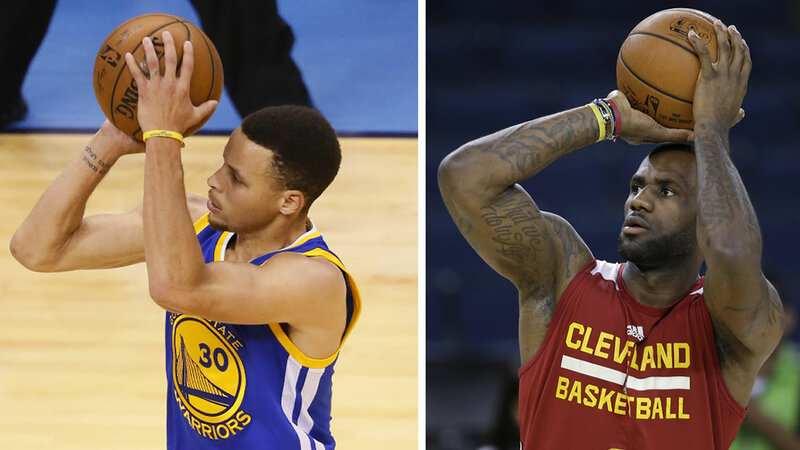 12 p.m. - Cleveland Cavaliers at Golden State Warriors from Oracle Arena: Golden State defeated Cleveland to win the title in 2015 before losing to the Cavaliers in 2016. But the Warriors celebrated another championship in June after defeating Cleveland in five games, led by superstars Kevin Durant and Stephen Curry. Click here for a look at our latest entertainment stories and videos.